Alan Weiss, M.D. 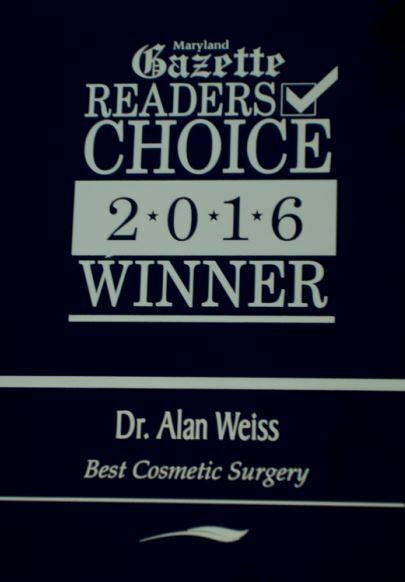 Plastic Surgeon Maryland Gazette has been voted Best Cosmetic Surgery in 2016. Set your goals, make plans, and chart your course with the help of Dr. Weiss. A personalized concierge Plastic Surgery Practice. Schedule a complimentary cosmetic consultation today and get started achieving your goals. Dr. Weiss is a Board Certified Plastic Surgeon with extra training in microsurgery. As a solo practitioner, he prides himself on providing personalized attention to his patients. His offices are conveniently located for patients in Anne Arundel County and the greater Baltimore area. Choosing the right plastic surgeon is critical. Schedule a free cosmetic consultation to meet Dr. Weiss and his team. "I'm relieved you're part of the network. You're the best doctor I've seen since I've lived in MD going on 3 years now."